When someone tells you to follow your heart, it somehow sounds like a worn-out phrase nowadays, which people use without true confidence in what they’re saying. However, Slaven Kosanović also known as Lunar is one of the few people who really know the meaning of those words, and who had the courage and diligence to make their dreams come true. Being a child of gifted art-loving parents, he got in touch with diverse mediums of art at an early age. In spite of the obstacles that he embraced as normal parts of life and even challenged them through art, Lunar stood on his own two feet and managed to do the things he loves in life. 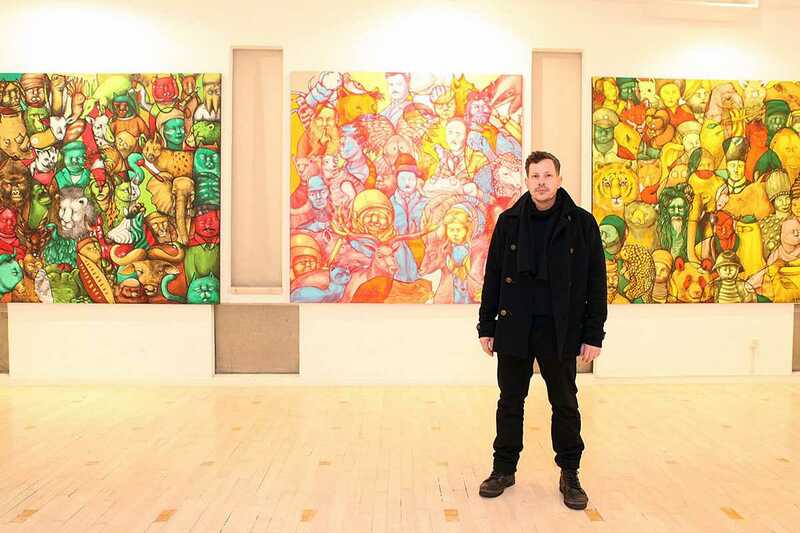 Today, he is an established Croatia-based street and urban artist, who traveled around the globe and made his mark in numerous parts of the world. 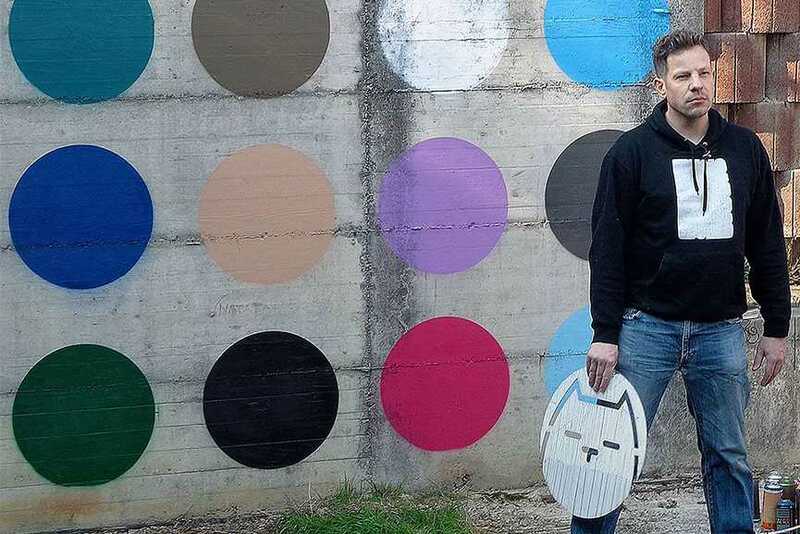 His illustrations, murals, graffiti and even photographs have been exhibited (or made on walls) worldwide, and since he is such an enthusiast, a great professional and a very inspiring persona, he is also known for giving exciting, encouraging talks. We had an opportunity to invite Lunar to an interview, in which he told us more about his works and career in his own words, about how street art has changed, and he also gave us some details on his latest project. Scroll down to read our conversation and to find out about some important stuff related to street art, and life in general. Widewalls: According to some of your statements, your alias, Lunar, was chosen because of a video game with the same name. Why was the game important to you, and does the word Lunar still remind you of the game? Or have you created other associations in the meantime? Lunar: My father was in the early computer business and I remember the day when he brought home a ZX Spectrum. He used to also bring back used printer papers for drawing, and tons of punched cards that were used in programming. I loved simple Spectrum games and Jetpac was one of my favorites. Our neighbor Mario also had a Spectrum and I used to play a game from the same company (Ultimate) with him – the game was called Lunar Jetman. It was enough to adopt the part of the name. At the beginning it didn’t mean much but a 5-letter nickname which was a challenge to write well, I usually sketched the three consonants and inputted the vowels slightly smaller. Later, while painting during the night, sometimes we didn’t have enough light so several times the feeling was almost like painting with closed eyes. The moonlight wasn’t crucial, it was usually artificial light but it sounds more romantic imagining you’re depending on the Moon. 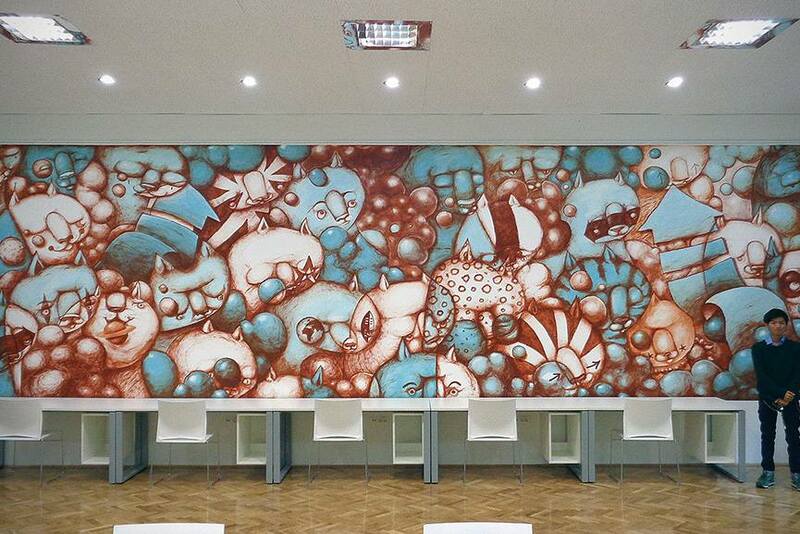 Widewalls: When you were giving your TED talk, you were talking about imagining your illustrations on walls when you were younger. Why was that attractive to you? Was it the visibility of street art in public locations, the size of the wall, or something else? Lunar: I’ve mentioned that my parents were both talented in drawing. Due to a more disciplined approach to life they’ve picked a different path. Nevertheless, they’ve transferred their love of drawing to their kids, and since I was their first kid, I was lucky enough to take in the most. My father taught me letters on the blackboard at home by drawing some character or object that corresponds to each one from the alphabet. Outside the flat we have a terrace which wasn’t in nice condition when my parents moved in, in the early 1970’s but dad repaired it and when I grew up a bit, there was a new, bigger surface as a testing field. As I said, I had tons of used printed papers (they were printed on one side only and somebody else would probably throw it in the bin instantly) and the legendary punched cards. I was drawing on them all the time and I can’t really recall the exact moment I decided to move on to the walls. 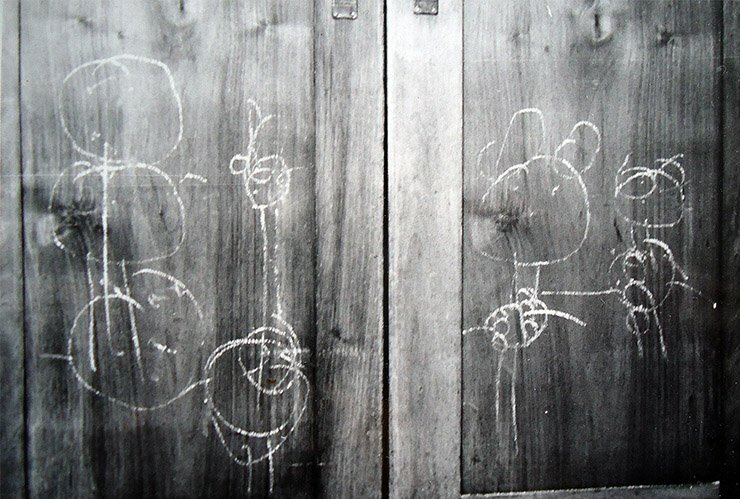 I have a photo from 1977 with my chalk drawing on the other side of the closet. So at the age of two, there were already some moves outside of the regular surface. First moving out of the drawing board was scribbling on the posters of neo-folk singers, who were popular back in the 1980’s and which irritated every normal urban kid. To me, it’s fascinating that you can morph any surface and transform it from a piece of trash into a work of art. People rarely come very close to the wall, so I’d say the impact from the distance is important. The way the work looks on the photo is very meritorious. 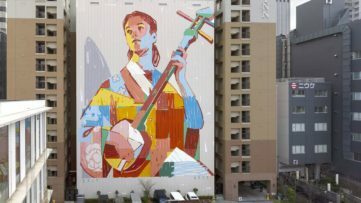 Widewalls: What is your favorite form of expression, and do you make any difference between street art, works on canvas and illustrations that you make? Lunar: I don’t really make too much difference among disciplines, to name them so. What makes a difference from work to work is the artist himself or perhaps the period of his activity, period of his life. 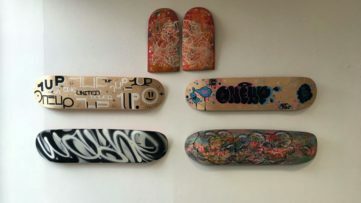 I have met people who were eager to place things in shelves, especially within the graffiti world – there were always guys loudly stating what’s real graffiti and what’s not. It was getting on my nerves in the beginning, we were living in Zagreb in 1990’s, not in New York in the 1970’s, those things were defined a long ago, in their birthplace. But as the years go by, things get more relaxed. Loud guys usually end up doing some work which they don’t really enjoy and the busy ones who follow their heart stay on their feet, doing what they always loved. 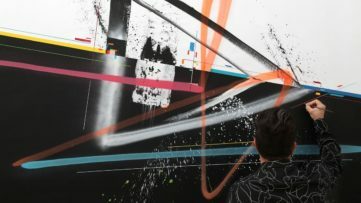 Widewalls: Do you always know the stories behind your projects, or do you sometimes just make images that are visually interesting, but do not send messages directly? Lunar: When asked about particular projects I check the background of the idea. I’m interested in getting the basic info from the person behind, then do a little internet research on my own, then sketch. Also, I rarely have an exact idea in my mind, I need to start sketching and ideas come during the work, most of the times. Widewalls: What is your favorite subject of representation? Animals, abstract forms, or something else? Lunar: It depends on the mood. Sometimes I can’t imagine myself drawing anything but the animal character, some other time I feel like creating an abstract motif. Letters are something I can’t escape from, I constantly return to them, in different forms. 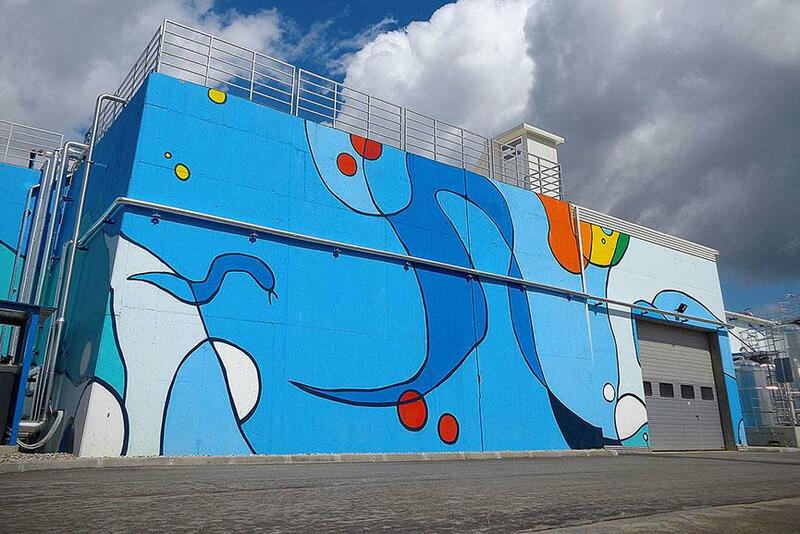 Widewalls: Do you feel that street art has changed since the beginning of your career? Lunar: It has changed, a lot. As a kid, I was happy to be a part of something so creative and productive that spread globally, I saw it as something very idealistic. First, it was an alternative to a bad life on the streets, then it was a way to prove yourself, but still pretty aggressive. Then it slowly but surely became accepted by creative kids worldwide who weren’t necessarily infested by street violence. Some highly talented kids noticed the opportunity that jumping out and placing their work on the big wall presents their works more efficient than staying in the atelier behind the wall. And they jumped aboard. The money came in, of course. I wouldn’t call it bad or good, it’s just the way it is. I used to work commissions a long ago. Most of the money I made I spent on more cans and travels. I’m happy for it. The established artists who are coming from academies of fine arts worldwide create a challenging competition and more people are pushing the boundaries now more than before. The entire global scene is richer, incomparably richer than it used to be – there are amazing characters, concepts and letterstyles. And still there’s no momentum in sight. Widewalls: You have been travelling a lot, and you also say that the best thing about travelling is coming home after learning something new. 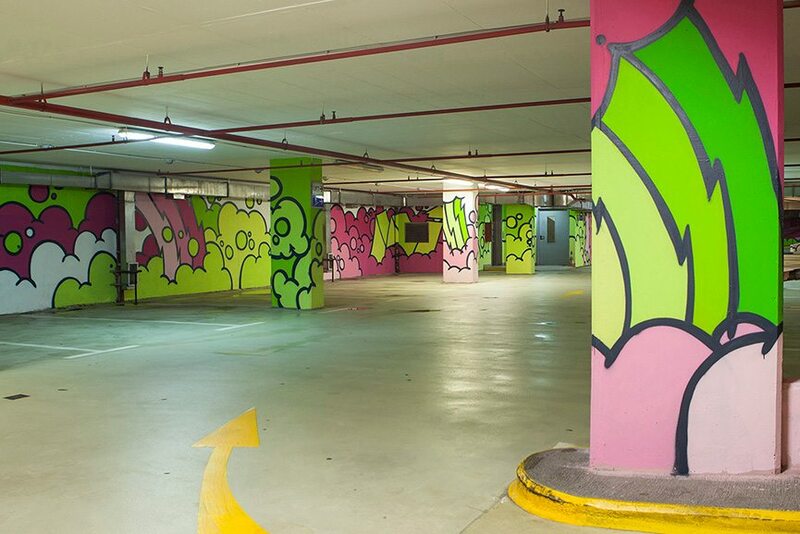 How do you feel these places that you’ve visited are different from each other, when it comes to their graffiti art scene? What makes that difference? Lunar: Yes, I believe the best moment of all travels is coming home. The experience in every place I’ve been to is related mostly to the people I’ve met there. I love absorbing the new energy, new places, different lifestyles, understanding life, different flora and fauna, I enjoy local foods much. As I mentioned somewhere, I feel that the older and (hopefully) wiser you become, the better filter you are in getting the reality through yourself and spit it on a surface and make more works. 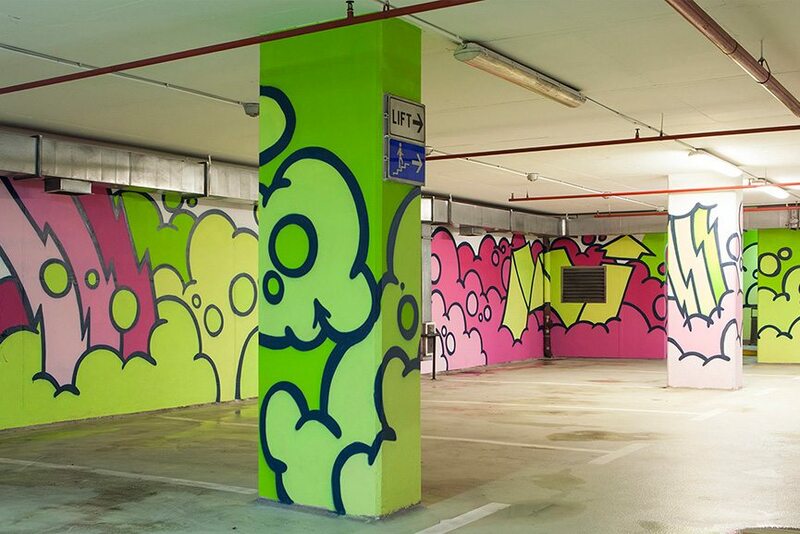 Widewalls: How is your latest project, Colorful Underground, related to the graffiti that you made in the past? What is it all about? 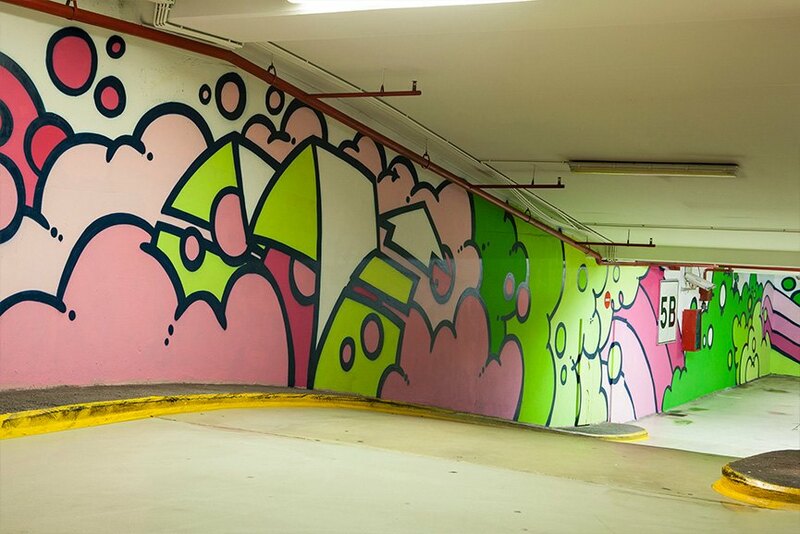 Lunar: The project I just completed, Colorful Underground, brought me two big garages to paint. During the years I’ve extracted what I thought was important in graffiti, besides letters, of course. When thinking about shapes which are about to get covered in paint and morphed into something else, I imagine what would look the best on them. For a while already, actually for a very long time, I keep on recycling the motifs I’ve been using since the 1990’s and I picked it up from older writers. Arrows, thunders, rainbows, clouds, lents, bubbles and swinging buildings are elements I love seeing chasing each other on every surface. They give a piece a certain dose of dynamics and I enjoy placing them one after another, playing with them. Colors are something I like to pick from nature. It sounds like the simplest thing imaginable, I know, but I love it that way. For one garage, I used pink and warm green tones. Since early childhood those colors remind me of a magnolia tree which used to grow in my grandparents’ garden until the late 1990’s. The other garage is simpler, it just reminds me of sunset colors, kinda kitschy. I don’t intend to even try to copy what I see in nature; I’m just adopting the colors and applying them to something that doesn’t come from nature. You know those sunsets when you’re on a long distant flight and the plane looks like it’s catching it, you see it from far above. I tried to catch some nice photos but didn’t succeed. But some colors are on that work. 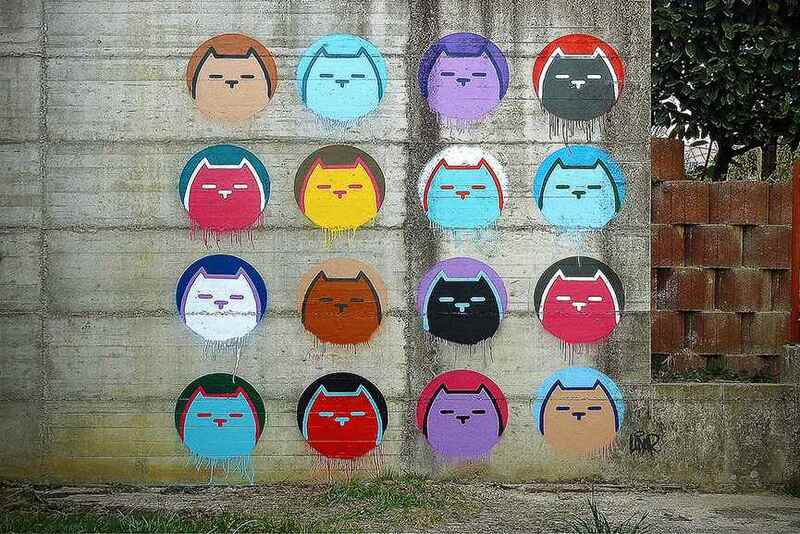 Widewalls: Tell us something about your future plans. What will you be doing in 2016? Lunar: What makes me happy is that there will be some local and regional projects. My favorite journeys are the ones to distances reachable by car. I don’t like flying although I’m aware I can’t go too far driving. Besides regional projects there will probably be some projects in Latin America and I’m planning to go to Cuba again for an exhibition of Hope Box and some more painting. 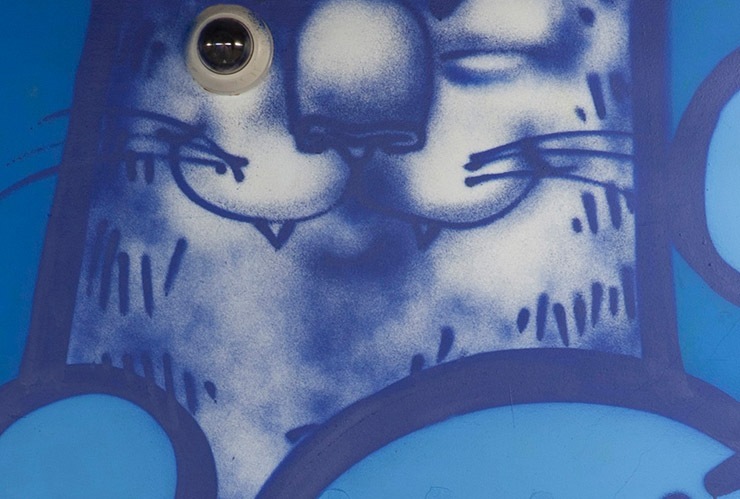 Featured images: Lunar, Continents Exhibition at Karas Ulupuh Gallery; Lunar – Colorful Underground. All photos courtesy of the artist. Colorful Underground photos courtesy of Ivo Kosanovic.